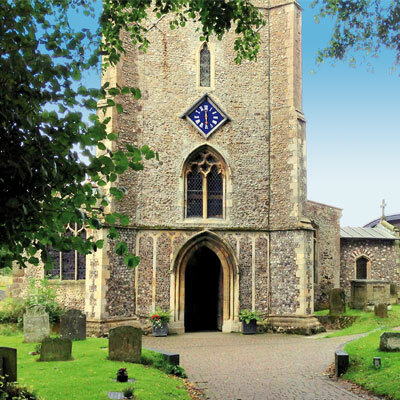 A looped trail leads from Plaque 7 into Church Street which terminates at St. Andrew’s Church. 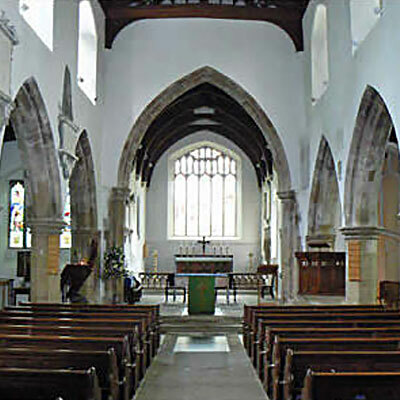 The Parish Church has occupied this site for over 700 years. 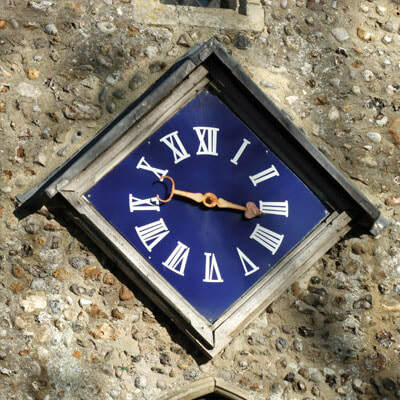 On 1st May 1708 the Great Fire of Holt quickly spread to the church, completely destroying the steeple, thatched chancel and melting the lead on the roof. 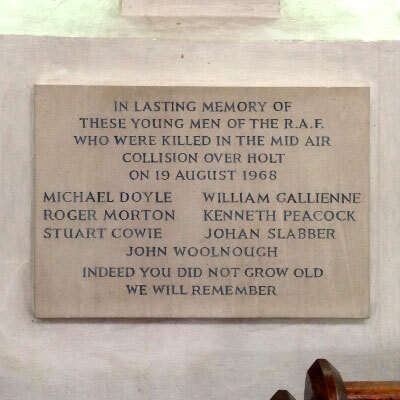 A plaque in the Church lists the names of seven crew members killed in a mid-air collision on 19th August 1968 when two Royal Air Force jet aircraft collided immediately above the town at 14,500 feet. 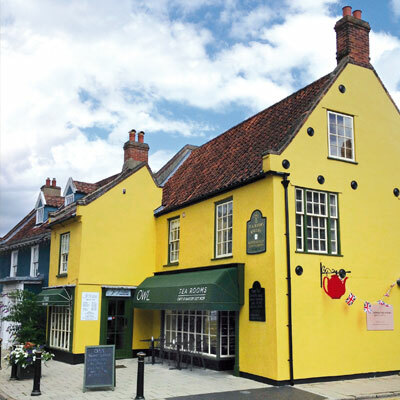 Holt Library in Church Street was converted from former stable buildings constructed of traditional close-laid small flints of matching size, an attractive style that can also be found in other areas of the town. 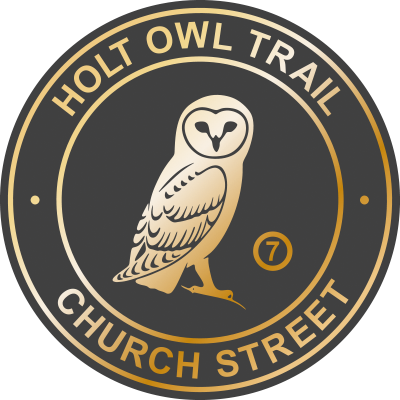 Please take care when crossing Church Street to Plaque 8.